Learning that doctors have found a spot on your lung is chilling and stressful enough. Adding to the anxiety, ruling out cancer has often meant undergoing invasive surgery just to perform a biopsy. 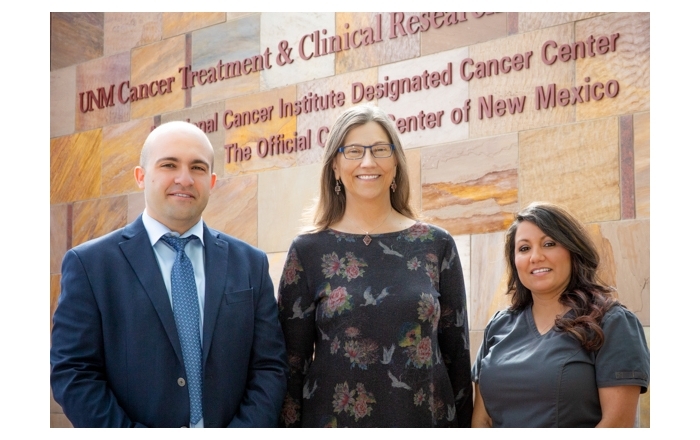 Pulmonary specialists at UNM Hospital are now using two new high-tech, minimally invasive procedures that not only mean safer biopsies – they can help rule out or diagnose lung cancer more quickly and at an earlier stage, when the disease is much more treatable. That’s important for lung cancer patients, many of whom are older and already suffering from COPD and other chronic conditions, said Ali Saeed, MD, an assistant professor in the Division of Pulmonary, Critical Care and Sleep Medicine within the UNM Department of Internal Medicine. “The median age of diagnosis for lung cancer is 71, and those patients diagnosed are usually already sicker than the general population,” Saeed said. Traditional diagnostic tests can have complication rates as high as 40 percent. Specially trained physicians performing the new procedures receive highly accurate results while providing a much safer experience for the patient, he said. 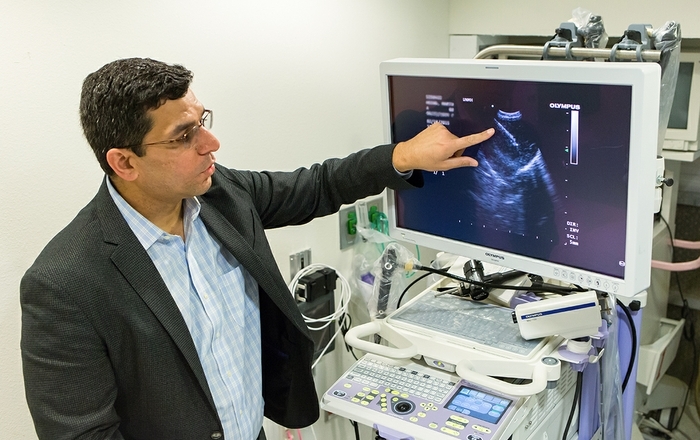 Endobronchial ultrasound (EBUS) allows physicians to use ultrasound to “see through” the wall of the airway and locate lymph glands and masses in the center of the chest. 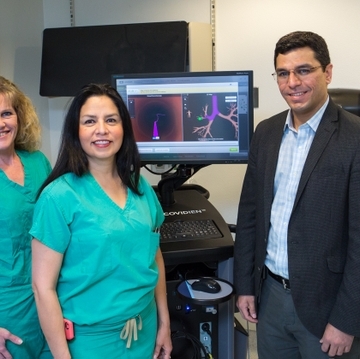 The bronchoscopy procedure uses a flexible scope with a camera and an ultrasound located at the tip. After numbing the throat and sedating the patient, the medical team inserts the scope through patient’s mouth into the large airways leading to the lungs. “Most of the patients do not even remember the procedure," Saeed said. After the tube is in right place, doctors can then use a special ultrasound probe to send sound waves (ultrasound) through airway walls. It allows for real time location and biopsy of surrounding lymph glands and masses in the chest with a very low complication rate. 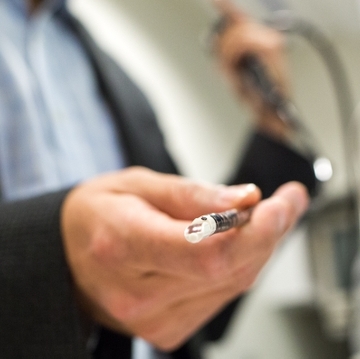 With another technology, electromagnetic navigation bronchoscopy (ENB), physicians can program a probe with a tiny GPS system that allows them to move through lung airways to find and safely biopsy previously inaccessible lesions. 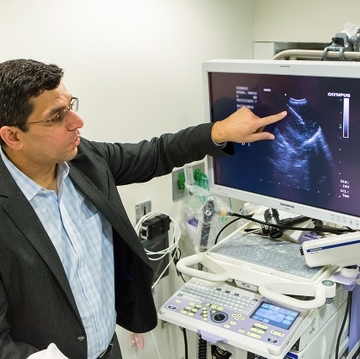 Much as when a driver programs his car’s GPS before taking a trip, a physician performing ENB first enters the location where he wants a tiny steerable catheter to move and the technology shows the most direct airway to the destination, according to Saeed. If something suspicious is found, the physician is able to do a very small biopsy. 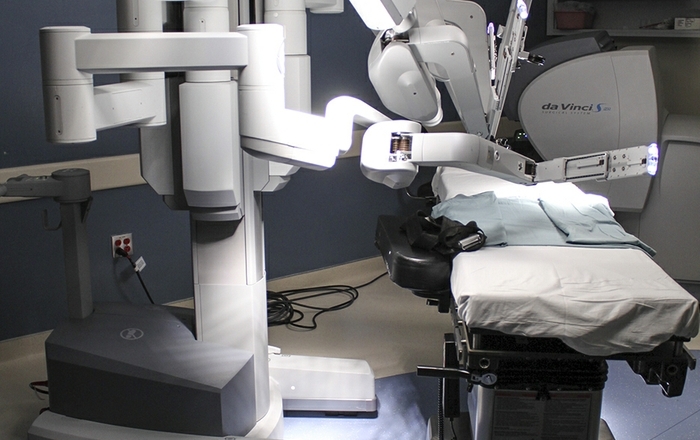 Without these procedures, patients might require much more invasive surgery or higher risk procedures to obtain an accurate diagnosis, he said. UNM now performs the lion’s share of these minimally invasive procedures in New Mexico, completing 85 of them last year. EBUS usually takes around an hour. The procedures do not require hospitalization, and patients usually leave the bronchoscopy suite within a few hours of their completion. 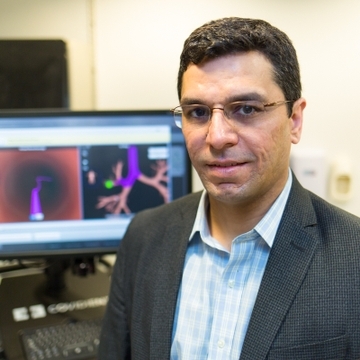 "We are working in collaboration with the cardiothoracic surgery and interventional radiology to provide our patients with the best and safest approach for lung cancer diagnosis and staging," Saeed said. "The patient is then seen within a week by a cancer doctor to minimize stress and anxiety after diagnosis."